Laina Rajala | Discipline Advisors, Inc. I enjoy learning about the industry and being hands-on with understanding the business. 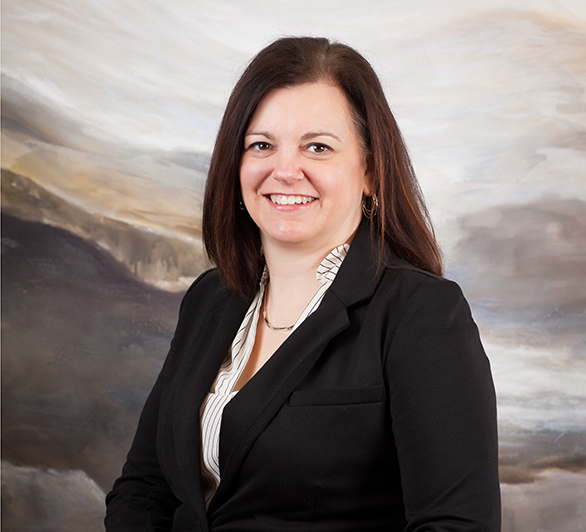 Laina has over 24 years of experience in accounting. Her accounting experience ranges from working in the construction industry to working with large, global organizations. Laina is a graduate of St. Olaf College with bachelor’s degrees in Economics and Norwegian with an area of emphasis in Accounting. She completed the YWCA Elizabeth Kearney Women’s Leadership program in 2017, and was awarded the Cargill Cares Volunteer Award in 2012 and Cargill Ambassador of the Year in 2010. Laina volunteers for Partners for Affordable Housing, NRHEG Community Ed, New Richland Economic Development Authority and is an election judge for the city of New Richland. She was a Crew 52 volunteer for the Minnesota Super Bowl Host Committee and has been a Girl Scout Leader, PTO secretary and member of the After Prom Committee for NRHEG Schools. In her spare time, Laina enjoys spending time with family and friends, challenging herself in new ways such as completing a triathlon, duathlons, half marathons, 10K and 5K races and charitable bike rides and helping in the community where needed. She is a breast cancer survivor and advocates for early detection.